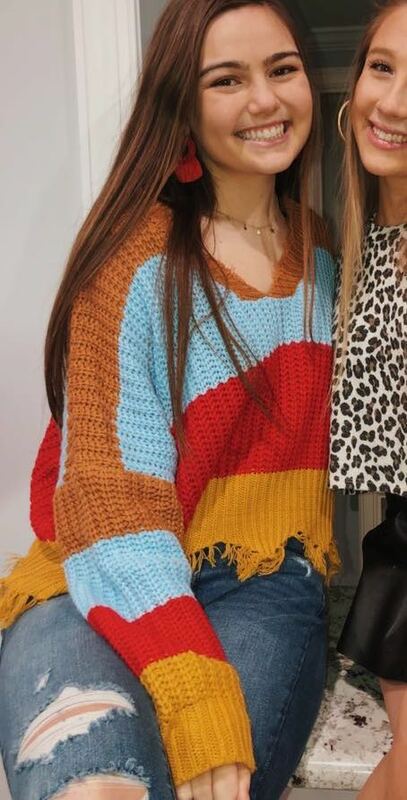 Cute & trendy color block sweater!!! It is sooo comfy and super stylish! Only worn once.